Do you want to print cookbooks and reference books bought from Kindle ebook? 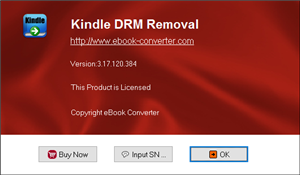 those kindle ebook have copy-protection, you hate the DRM. What do you do? 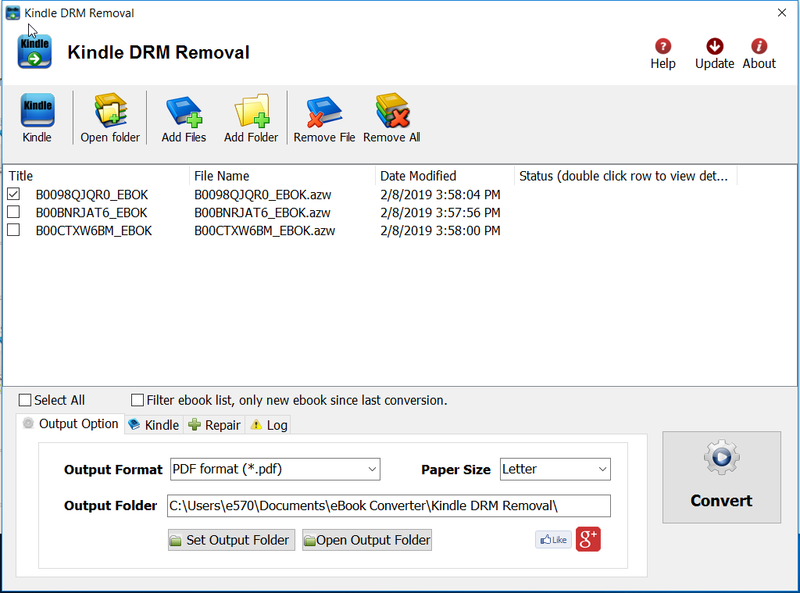 Well, if you like, we’ll tell you how to strip the copy-protection from your e-books, leaving a plain, vanilla e-book file in the format of your choice. For the meat of the how-to, you should visit www.ebook-converter.com, which is both straightforward and detailed. user managed to get it up and running in a couple minutes. For a quick version – focussing on the Kindle, read on. 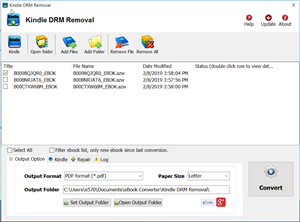 First, get a copy of the free trial Kindle drm removal, This tools converts strip all DRM from your e-books, so you can convert them from format to format. second you need a freeware Clibre to convert new .mobi file to epub format after remove Kindle ebook drm, then convert epub to PDF file, you get a perfect pdf file to print. Download and install Calibre, You are able to convert new .mobi file to epub format after remove Kindle ebook drm , then convert epub to PDF file, you get a perfect pdf file to print. How to download Vitalsource Bookshelf ebook to PDF? How to get read DRM ePub in iPad? 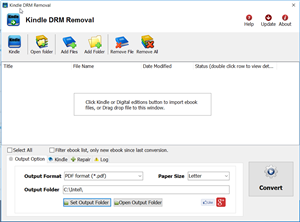 How to Convert PDF to .mobi Kindle format? How to fix Protected Page error on sony reader? 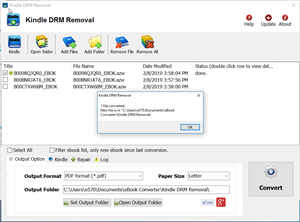 How to remove Adobe Digital Editions DRM ? How to download Wattpad story to PDF?